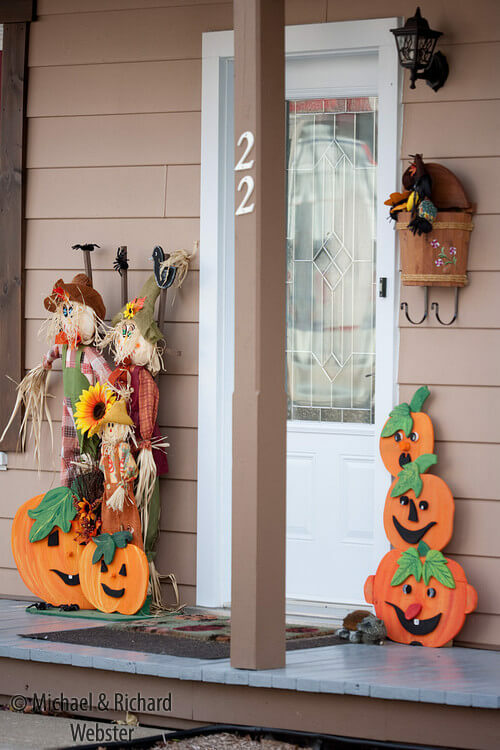 Apart from indoor decoration and killer foods and cocktails, porch decoration is the best way to impress your friends and neighbors during Halloween. The porch is one place, which will get most of the action on Halloween. 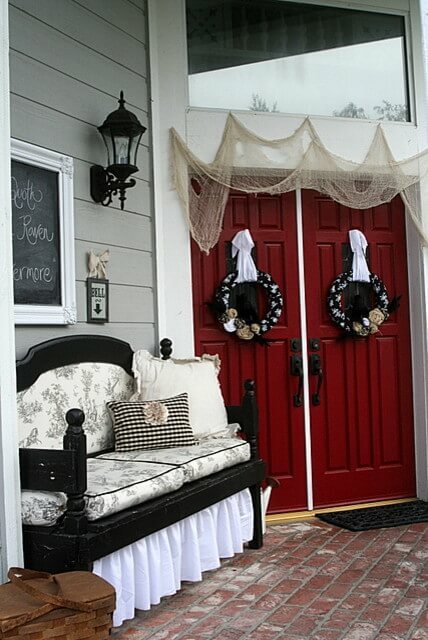 You do have the option of decorating the porch with the good old wreath, but that’s passé now. You need to make it stand out by making use of cool and uncommon decoration items. So hunt down all the accessories to take your porch to an entirely different level. 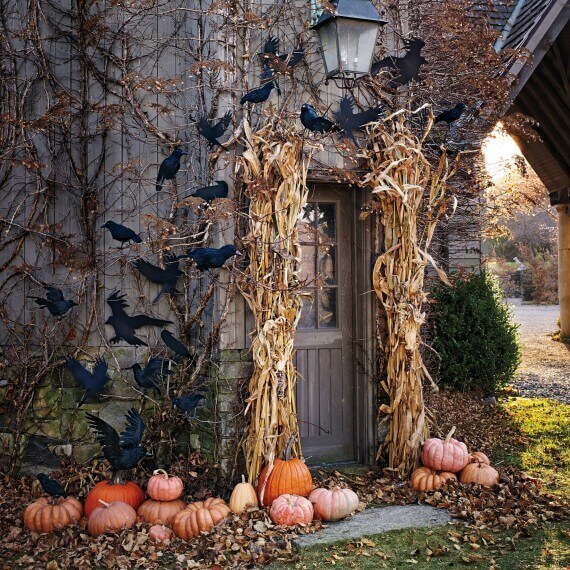 And to help you, even we’ve compiled a list of impressive Halloween porch decoration ideas. Take a look! 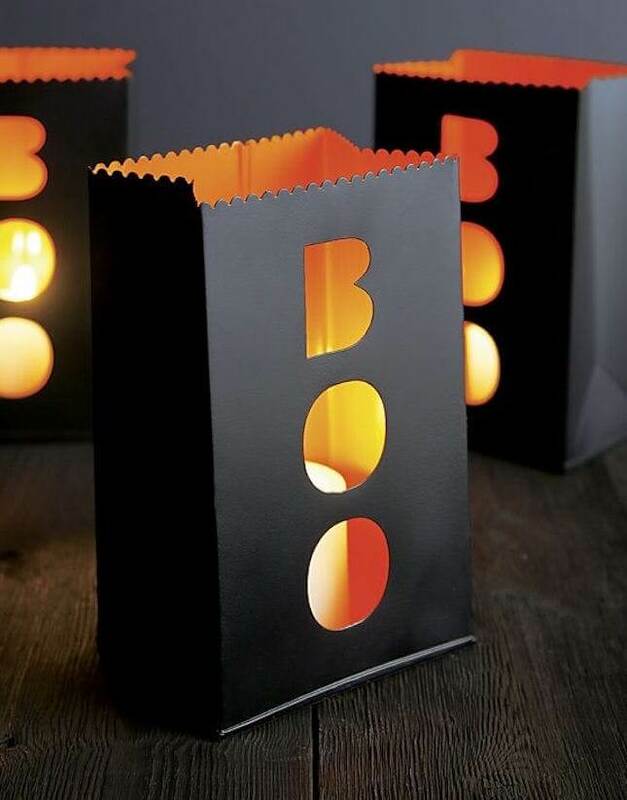 This metal luminary, shaped like a paper bag, will definitely stand out. It has a single ‘boo’ cut out, which is giving it a minimalist, yet classy look. Just line your porch with these luminaries to light the way for the trick or treaters. 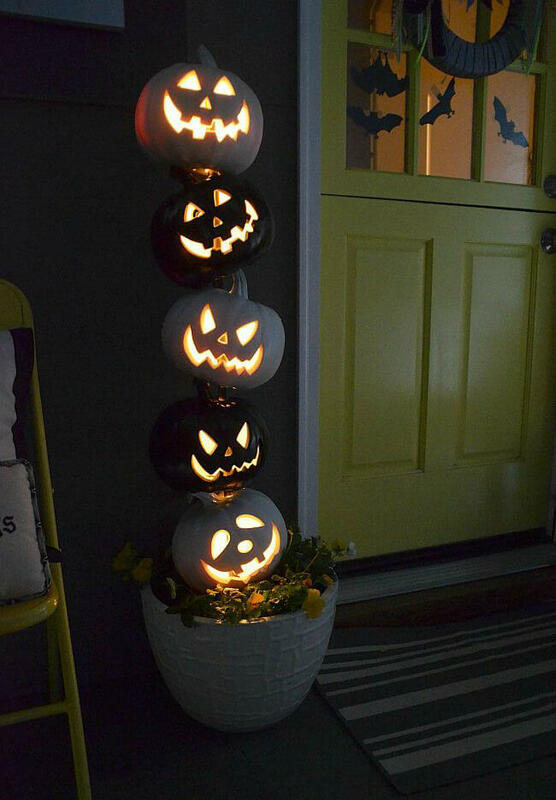 Take your Jack-O-Lanterns to an entirely new level by placing stacks and shiny topiaries. You have the option of using plastic pumpkins, but it looks best with the real ones. 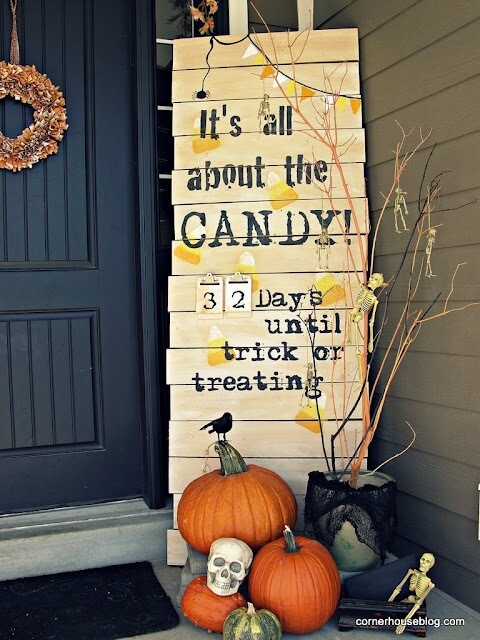 For a quick and simple Halloween decoration, place a similar sign or board on your porch. It’s a simple design, but will still create an awesome effect. Ravens look quite eerie and evil-ish. 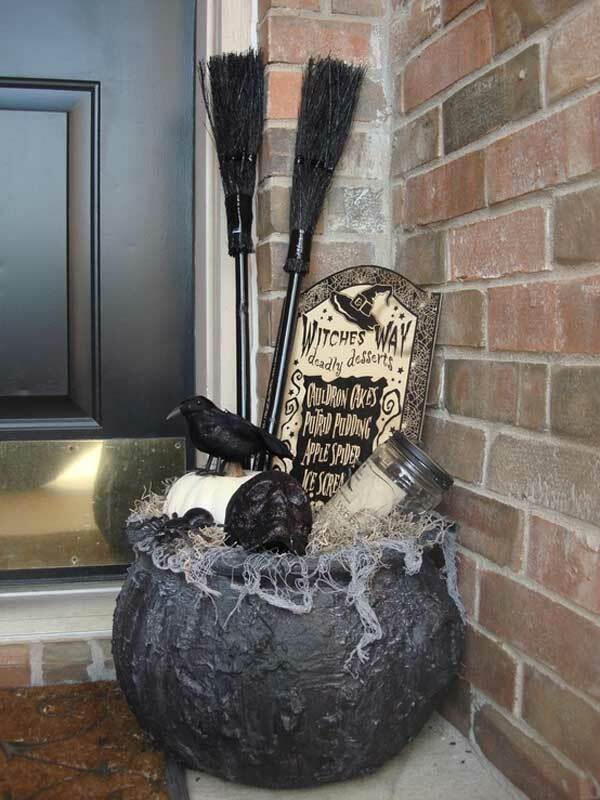 So why not incorporate them in your Halloween porch decoration? 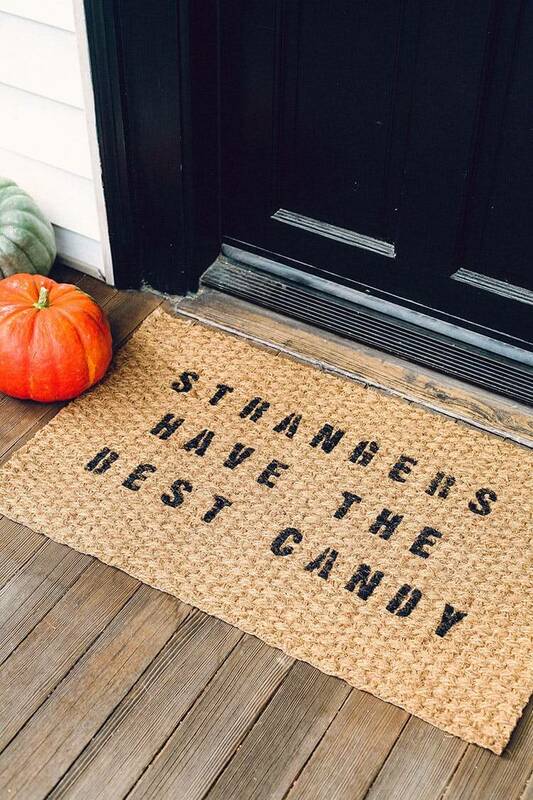 If you want to give a rustic, rough and natural look to your porch, go for this Halloween themed doormat. You can make it with a ready-made jute doormat, stencils and black paint. If you have decent weaving skills, put them to good use by creating this tangled web for the porch. You will need some rope and a giant spider for maximum effect. This idea is perfect for the porch with little space. 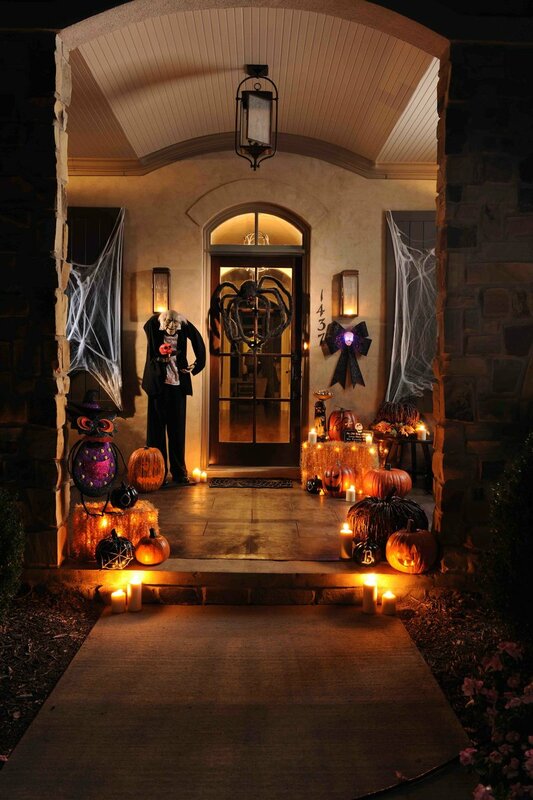 Instead of decorating the surface, deck the ceilings with jack-o-lantern and lights. On the sills, you can keep painted pumpkins. This is one of the easiest Halloween porch decorations. You just need to place a cauldron filled with witchy items. And don’t forget the banner. This porch is decked up in typical Halloween colors like orange, purple and white. 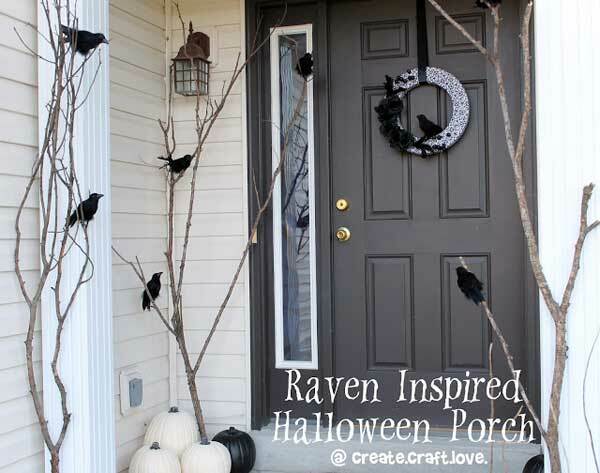 Create some card stock bats and arrange it on the porch to create a creepy porch. If you want, you can invite your entire family for making this craft. You don’t really need a porch to recreate this idea. But it will look even cooler if you have one. You need loads of toilet paper to wrap up the door. 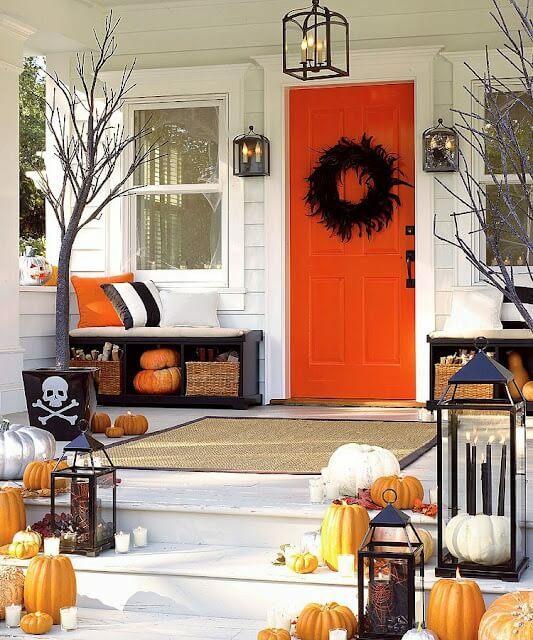 And for the porch, use colorful pumpkins. 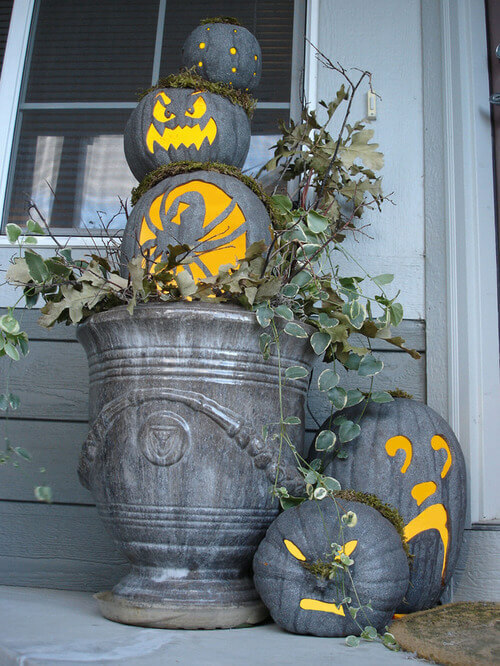 For a simpler decoration, you can place carved pumpkins on the planters. For best effect, paint the pumpkins same as the planter. 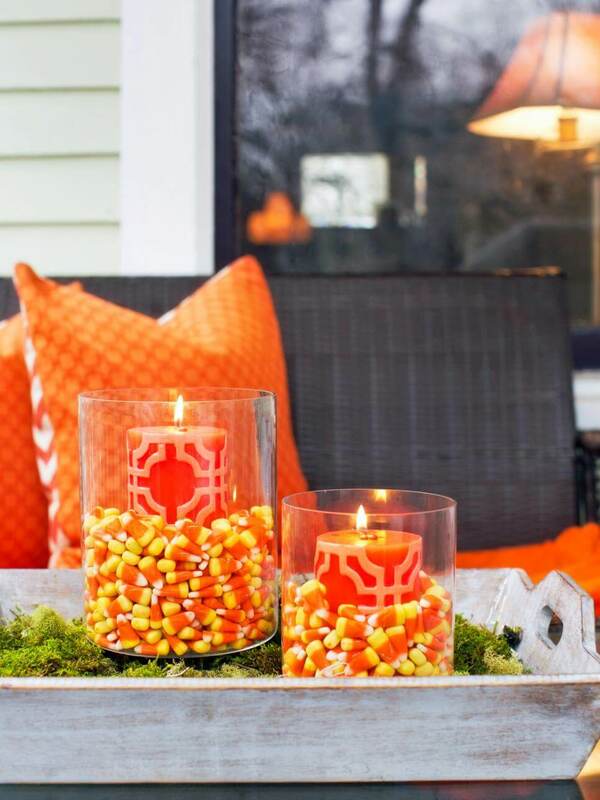 Add a sweet and festive aroma to your porch with candles surrounded by candy corns. You only need to place pillar candles in a candle hurricane and put some candy corns in it. This idea looks like a haunted house setting. Not that we don’t like it, but we’d suggest you avoid it if you have young kids at home. Otherwise, it’s extremely cool. 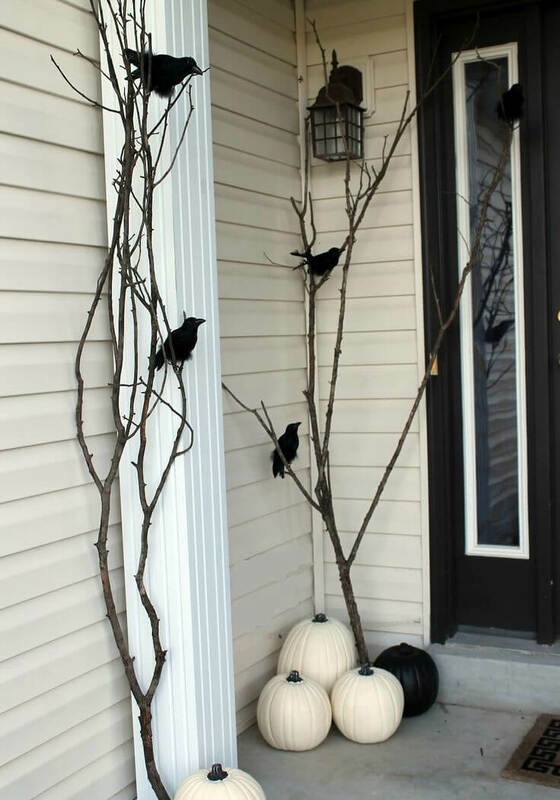 Head to your backyard or park to get a few branches and sticks for this Halloween porch decoration. The crows are adding extra spooky effect. 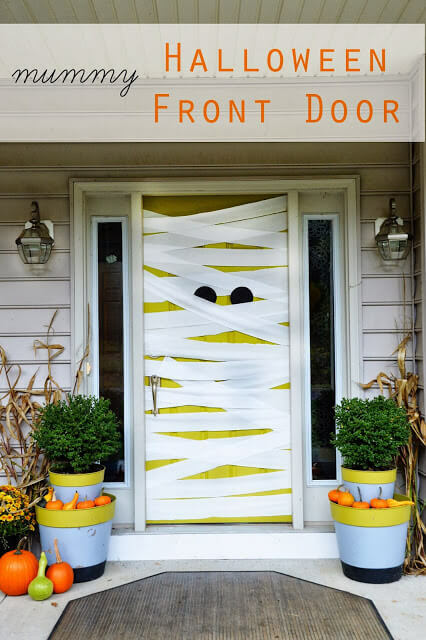 If you want to keep your Halloween décor kid friendly, recreate this Halloween porch decoration idea. 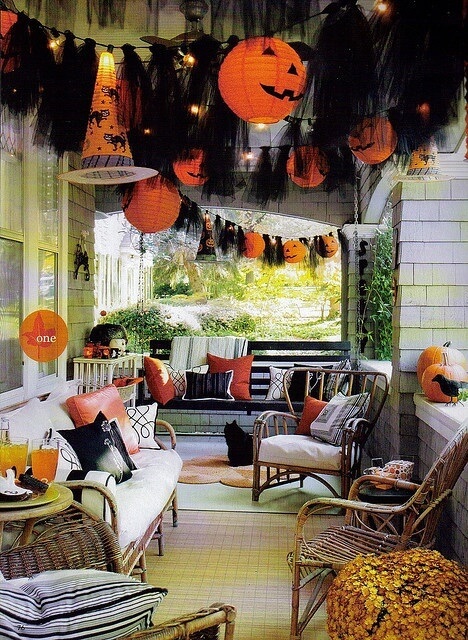 You just need to place some pumpkin treat buckets and paper lantern garland for maximum effect. 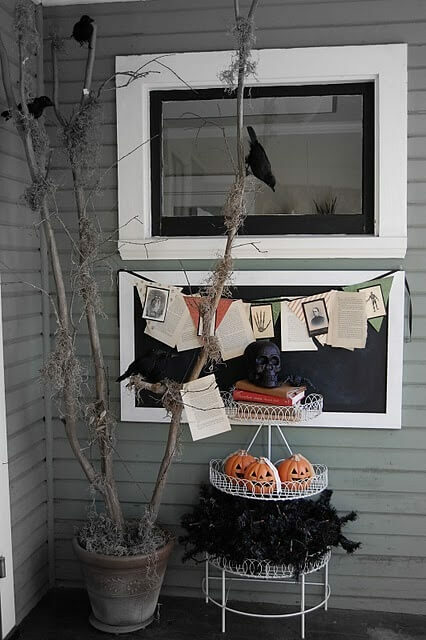 Here’s another beautiful child-friendly Halloween décor for the porch. 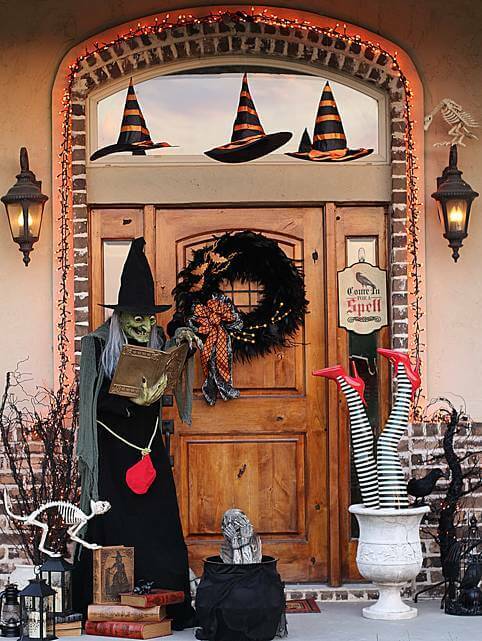 Almost all the elements of Halloween are featured in this décor but in a funny and cheerful way. If you want, you can even transform your porch into a horror movie. The one featured here seems more like a set of a witch centered movie. If your house has an outhouse, try decking it up in a creepy way. The crows are putting up a scary scene and the dried corn stalks are also giving their bit. 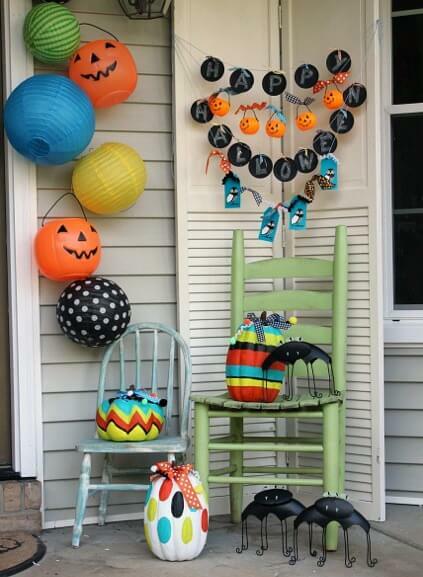 If you have a rocking chair in your house, bring it to use for this Halloween decoration. All you need to do is place a skeleton on the rocking chair with some glowing pumpkins underneath or on the sides. 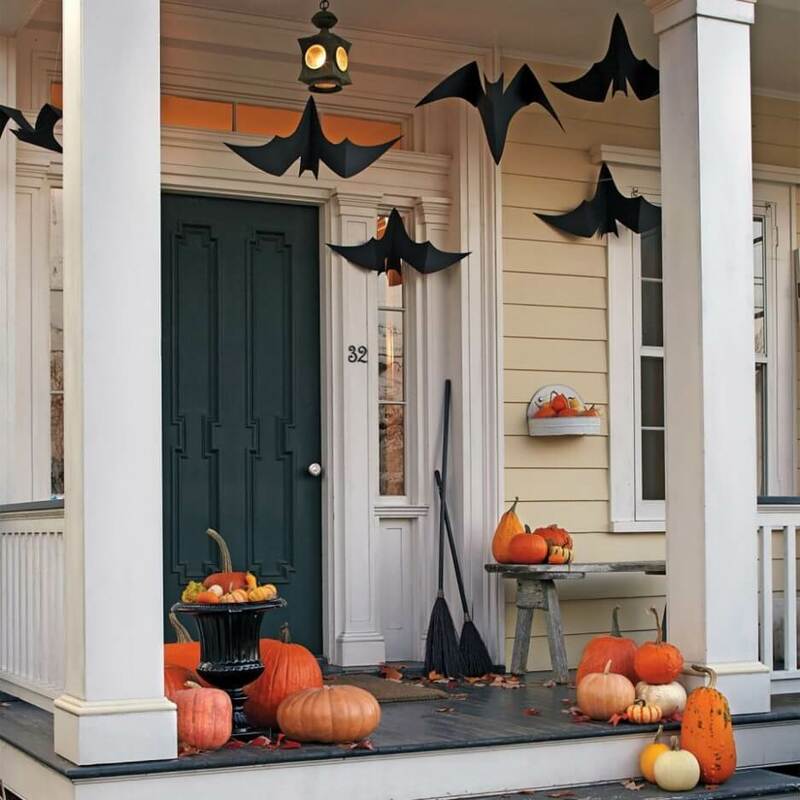 During Halloween, bats pair well with almost everything, especially on the porch. 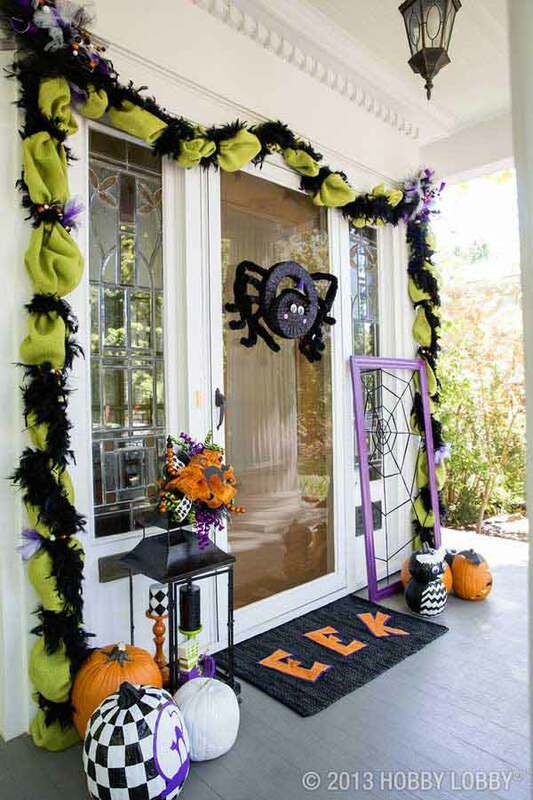 You can decorate the porch with spider webs and skeletons and hang some faux bats. You’re sorted. The scarecrow featured in this Halloween decoration is really funny. This is the first time we’re seeing a green scarecrow. Just a single element can make a world of difference to your porch. The decoration here is done along the lines of the Victorian era, with old fashioned sofa and worn out curtains. If you don’t want to go over the top, just place a few skeletons. 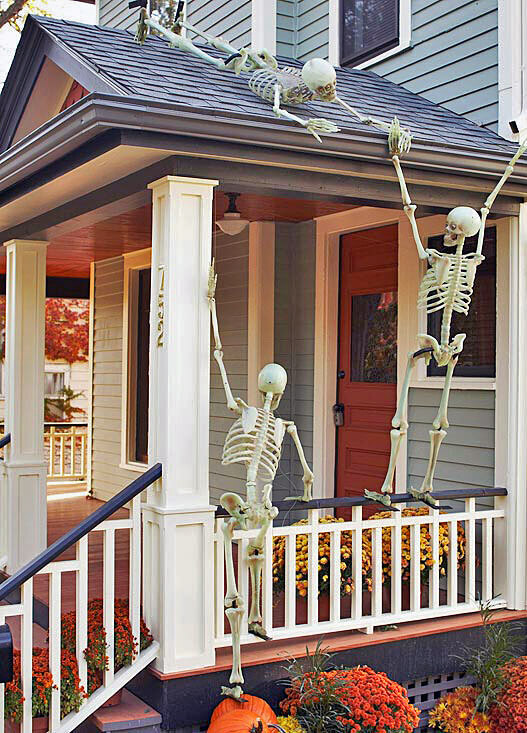 The one featured here appears as if one skeleton is helping the other. I think all of us have seen that haunted houses have gauzy curtains, which was probably left by the owner to rot away. 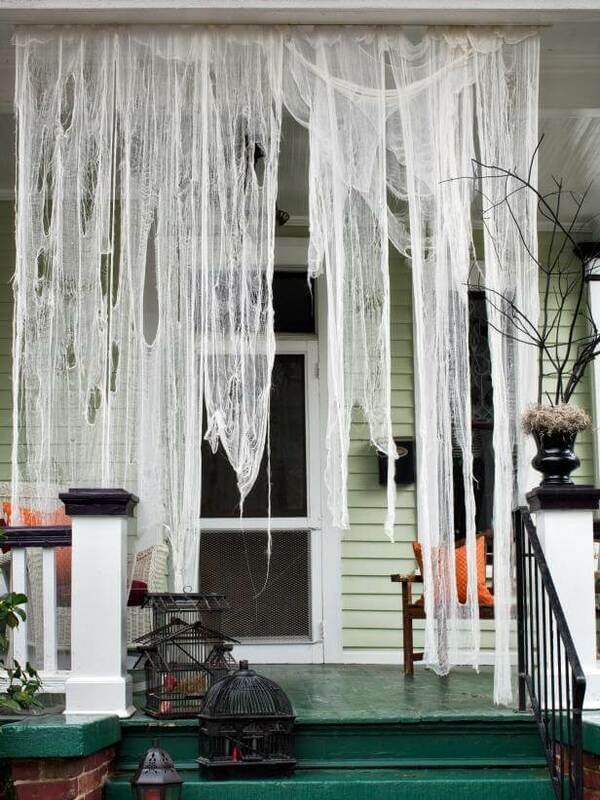 So this Halloween, give your house a haunted feeling by hanging some cheesecloth drapes. You can add any extra elements you like. This is one of the simplest Halloween porch decoration. It involves placing pumpkins, lanterns and candles on the porch. For extra effect, paste a skeleton sticker on the planters. 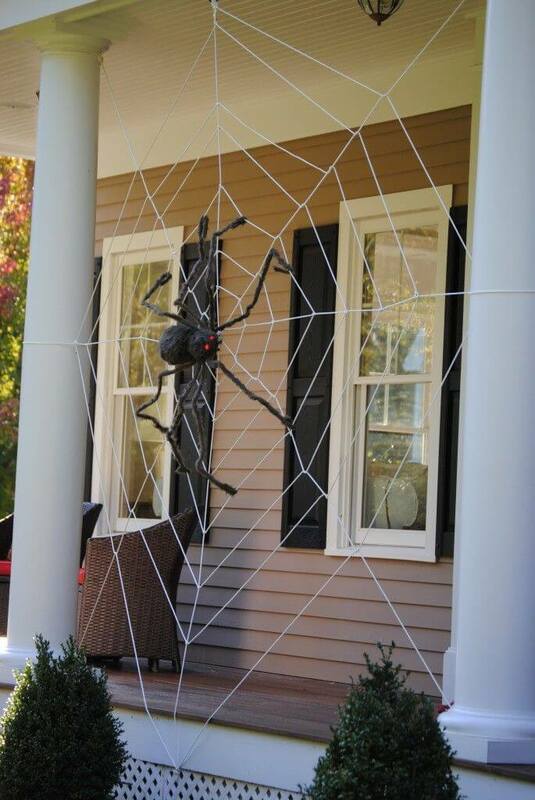 One of the most magnificent Halloween porch decoration ideas in our opinion. Each and every detail featured in this idea will freak people out, right from the nun to the tarantula. 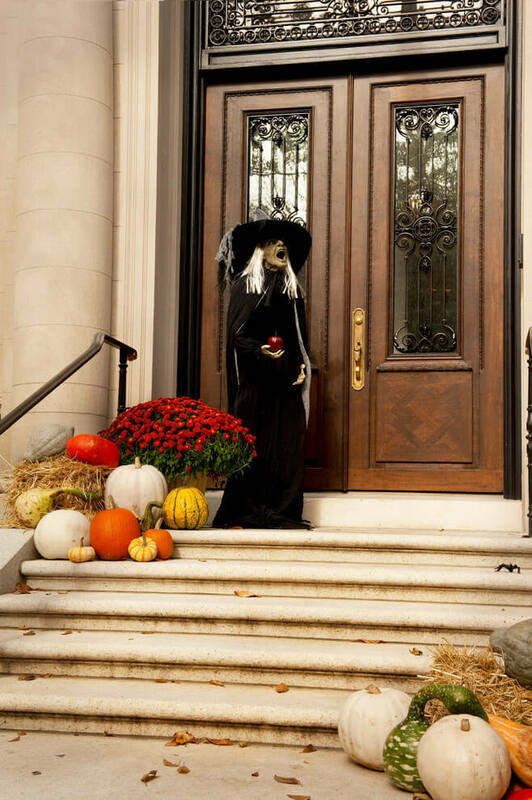 If you want to scare away the trick or treaters, place a witch holding a poisoned apple on the entrance. They’ll never come knocking your door again. 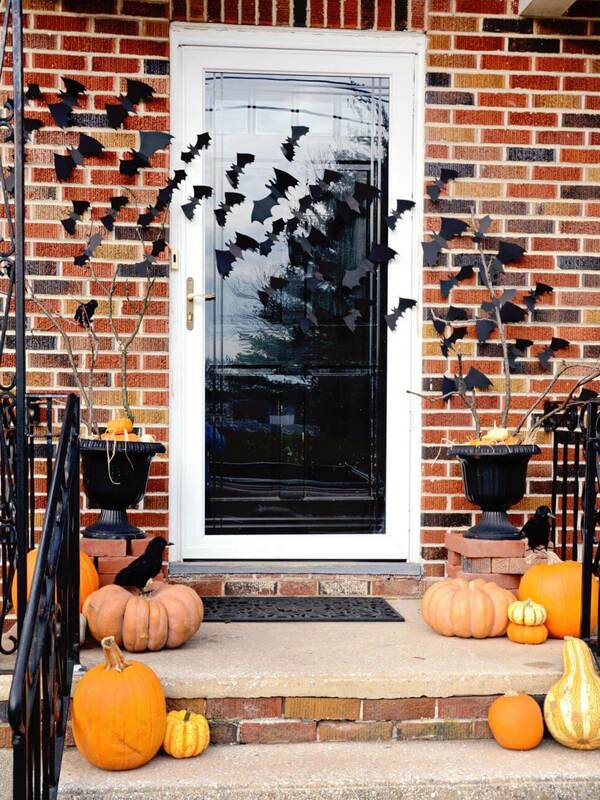 If you like your decoration dark and a bit gory, go for this neat, yet spooky Halloween decoration idea. The crow on the branch is definitely eye-catching. 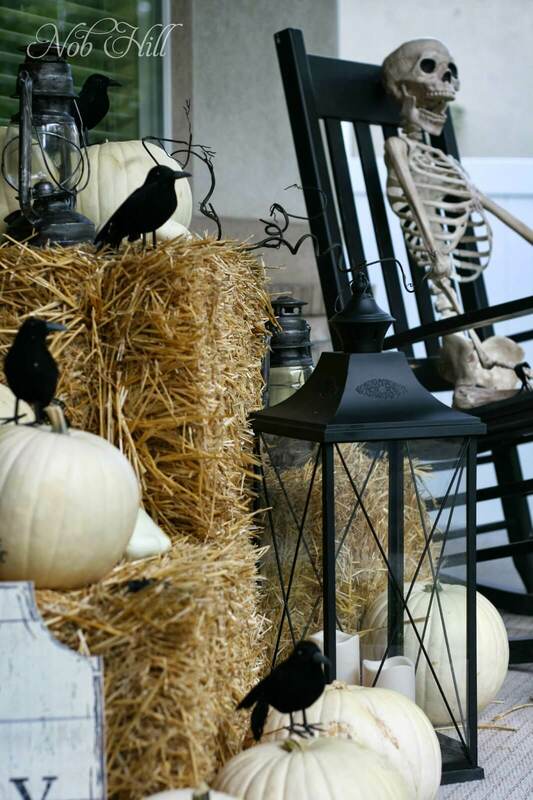 If you don’t have a front porch, you can try this Halloween porch décor. 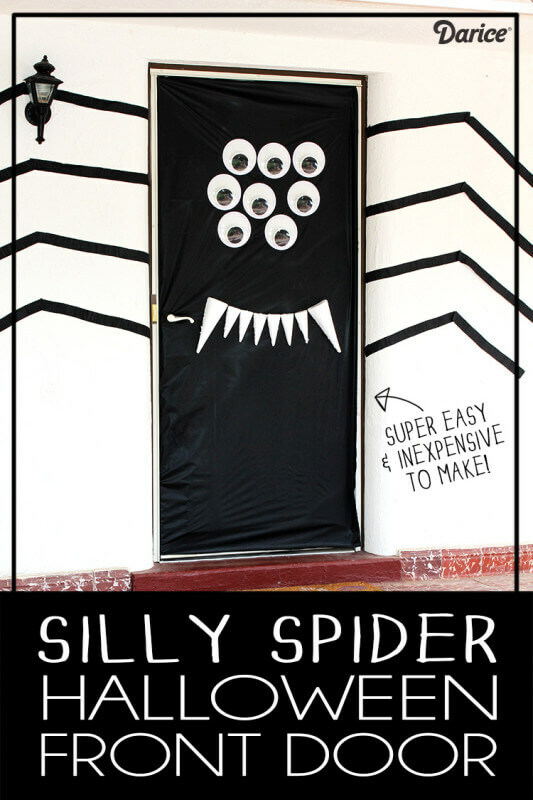 In this idea, the door is given the appearance of the spider, using black tapes, paint and googly eyes. It will definitely intimidate the trick or treaters. 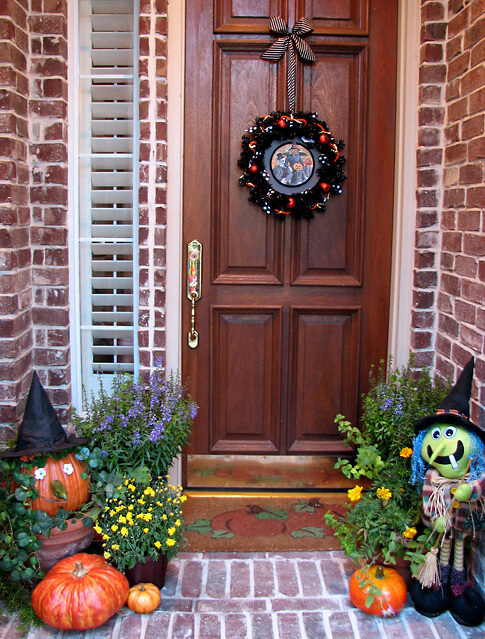 So how are you planning to decorate your porch for Halloween? 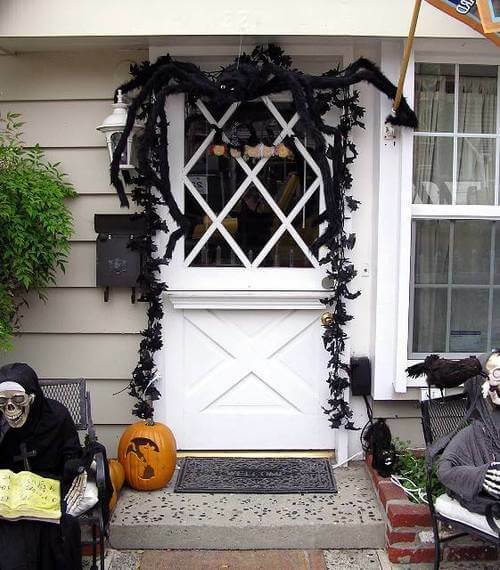 And what are your favorite Halloween porch decoration ideas from the list? Let us know by commenting below.